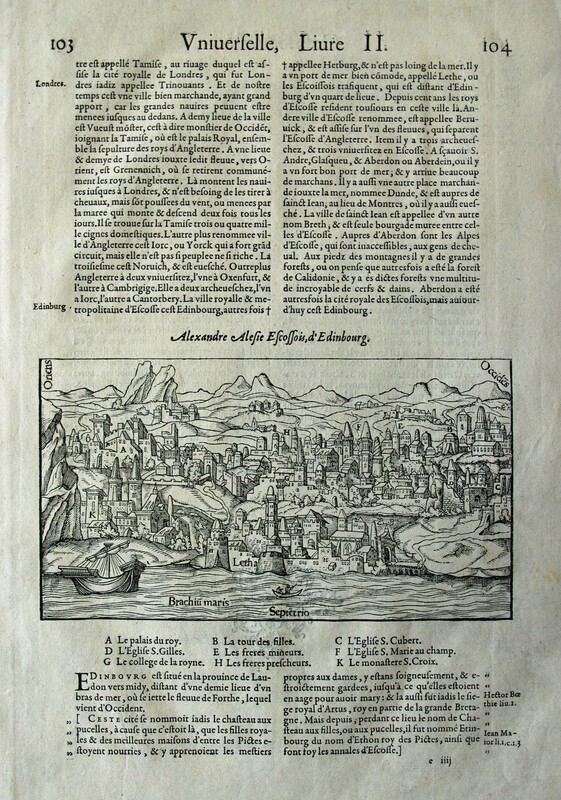 The French edition of Munster's map of Edinburgh, attributed to Alexandre Alesie, from c. 1575. The principal places of interest are each given a letter which is explained in the key beneath e.g. D = the church of St Giles.